Aurora PPT template - Download Free! Above a new Aurora ppt template for your computers and laptops is represented. It is a constantly new multipurpose presentation with a creative design and principally different peculiar features. The template is created in dark colors: purple and dark grey are prevailing ones. It consists of 15 unique slides for PowerPoint. The template combines different types of slides: with text, pictures, charts and graphs, statistics, pictures and text combined and so on. Here you also can find a “List yesno page” – is an innovation. Creating this template, we designed an Open Sans – a free Google font created especially for this presentation. 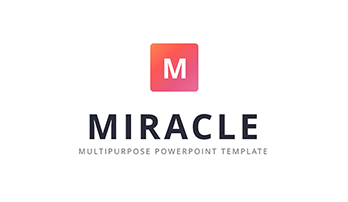 You can freely download it and use for unique creative presentations. 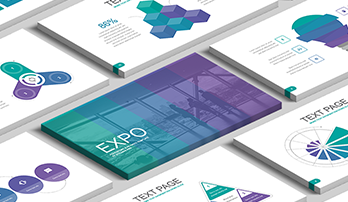 Using Aurora ppt template you will definitely succeed in making marvelous projects. This template will be appropriate both for business projects as a front slide cover contains images with laptop and Graphics tablet and simple presentations. The last slide also includes different photos of the same theme: here you can see a calculator with pens, individual people, a sea and water in general. All these create a strong business impression. Feel free to download this template and work fun.